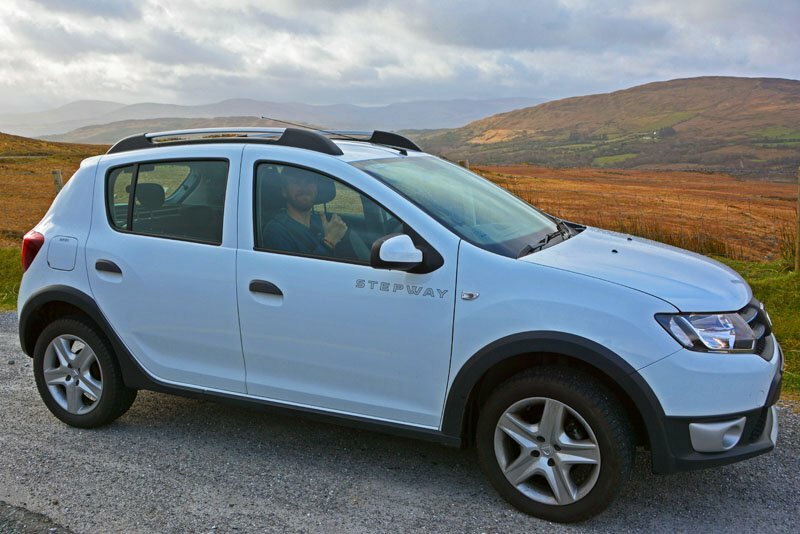 Our favorite way to get around Ireland is by car. Not a day has gone by in our combined 9+ weeks on the Emerald Isle without a car. Honestly, we don’t know how we’d survive any other way. We very much prefer the freedom a rental car provides. Stay at the Cliffs of Moher for as long as you want! Visit the Gap of Dunloe whenever you want! 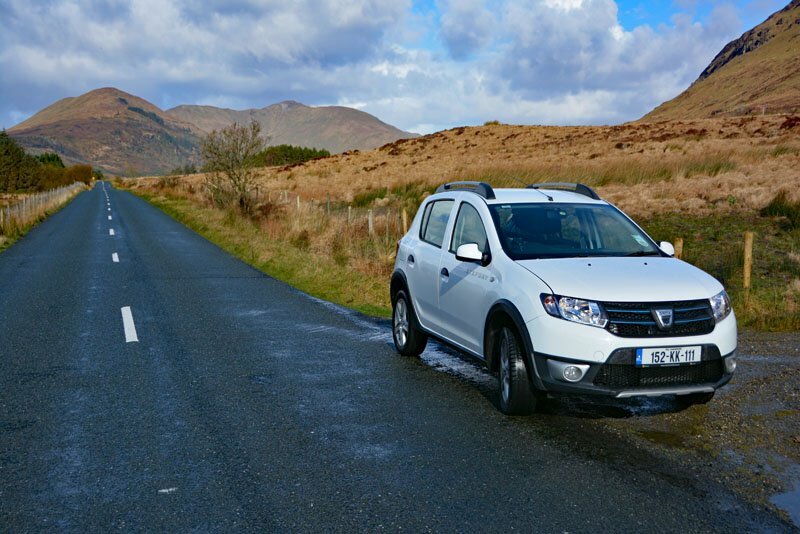 Drive all the way to Connemara! You’re on no one else’s schedule but your own! 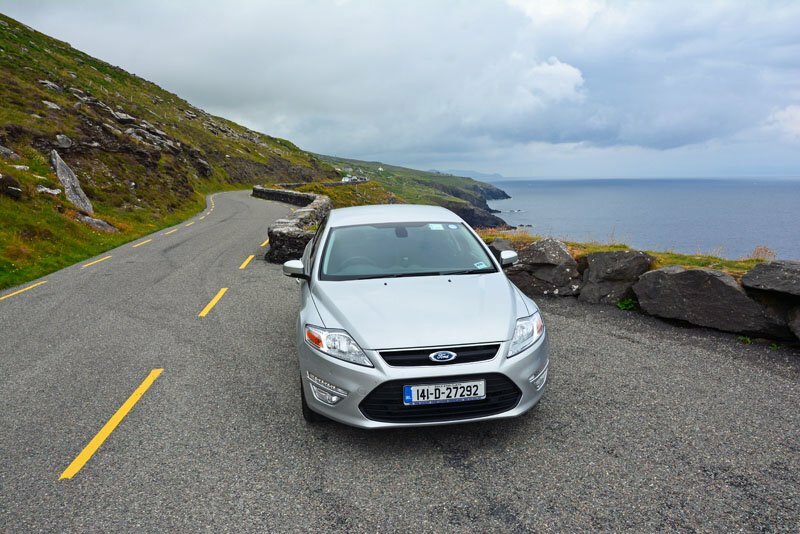 There are, however, a few things you should know about renting a car in Ireland. Most rentals have a manual transmission. Automatic rentals are scarce and are therefore much more expensive! 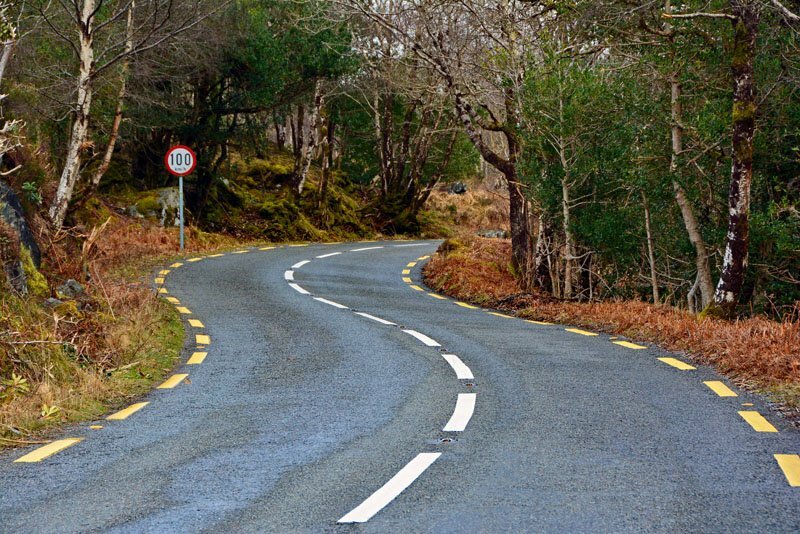 If you don’t already know how to drive a manual, Ireland is NOT where you want to learn. Know whether your rental vehicle takes diesel or unleaded fuel (petrol). Putting in the wrong type of petrol can damage the vehicle and be a costly mistake! The pumps are color coded in Ireland to make it easy for you to remember. Unleaded fuel is dispensed from the green fuel pumps and diesel fuel is dispensed from the black fuel pumps. The driver is seated on the right side of the car and drives on the left side of the road. The gear shifter is on your left, which creates a whole new learning curve for drivers not used to this setup! It takes a little getting used to, but most drivers adjust quickly. Renting a Car in Ireland isn’t possible if you are under the age of 21. 21-24 year olds will most likely have to pay an additional charge per day. Drivers over the age of 70 may face certain driving restrictions. Be sure to check the car rental company’s policy before booking if your age may be a limiting factor. 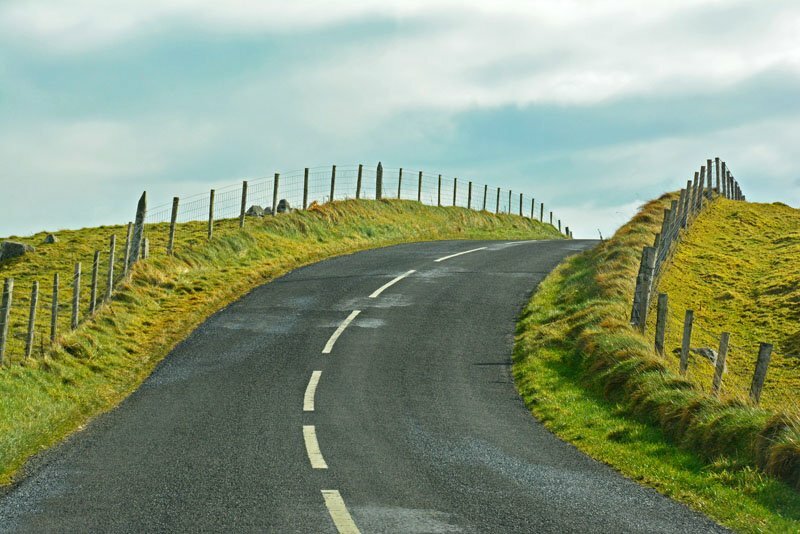 The roads in Ireland are often narrow with little/no shoulder. It is recommended that you don’t get a bigger car than you really need. Depending upon what part of the country you visit, you may be sharing narrow roads with large motor coaches and this is when having a small vehicle truly pays off! 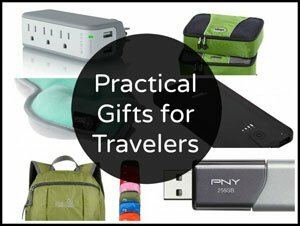 That being said, pack light! Trunk space in these smaller cars can be very limited! You will definitely want a GPS/SatNav/Map App for your time in Ireland! Using a paper map may get you lost quickly (as roads are not always labeled) and using Google Maps on your cell phone could rack up an outrageous bill (unless you have adequate international coverage). We purchased our own GPS unit a while back (and regularly update the international maps, as needed). We always travel with our GPS unit and it has paid for itself time and time again! 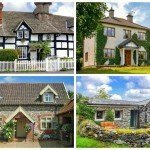 Whether you have your own GPS unit, rent one from a car rental company (which could be just as expensive as buying your own), or use a map app on your phone, know that a lot of places are listed with their GPS coordinates, as opposed to a traditional street address that most of us are used to. 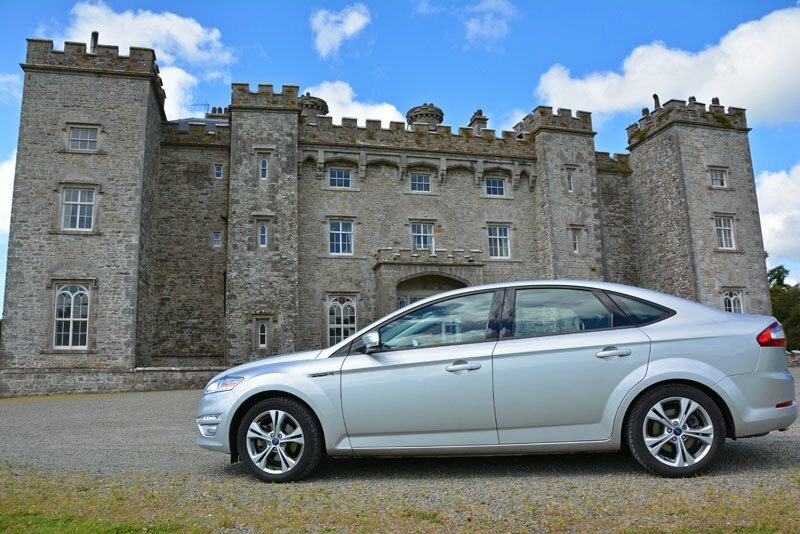 There are a plethora of rental companies to choose from (depending upon your airport of arrival) when renting a car in Ireland. These include internationally recognized chains such as Avis, Hertz, National, Budget, Enterprise, and Thrifty. There are also local companies such as Europcar, Sixt, Irish Car Rentals, Conn’s, and Dan Dooley. Though haven’t used them yet, we’ve heard great thing about Conn’s. 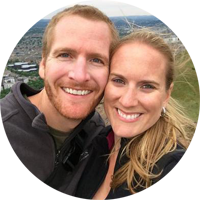 We had a great rental experience with Dan Dooley on our first trip to Ireland. (Note: Dooley was bought out by Enterprise in 2017). And we’ve found extremely good rates with Hertz Ireland during our last two visits. (Both times we rented with Hertz Ireland, they were longer term rentals (3+ weeks) in the shoulder season. This is most likely why we got such a phenomenal deal.) Shop around to see what best suits your needs and budget! 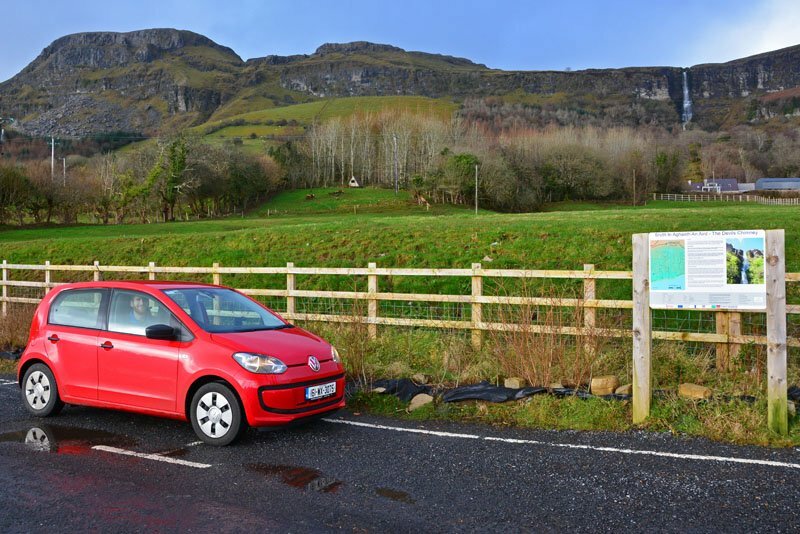 Occasionally, we’ll look at third party sites like Priceline or Kayak to find cheap car rentals in Ireland. Though sometimes the rental companies themselves are offering budget prices, so shop around to find the best deal. 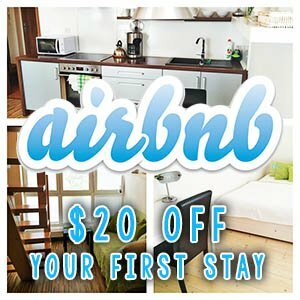 Always research possible hidden fees before booking! Look carefully at all that is included in the quoted rate. Be prepared for additional fees to drastically increase the baseline price of the rental. 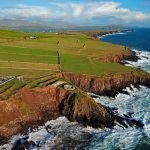 If you’re traveling to the Emerald Isle when most others are as well (i.e. summer), then expect to pay a premium for cars in Ireland. If your schedule is flexible and you can travel in the shoulder season, you’re likely to get a much better deal on a rental car (and airfare too)! Also, keep in mind, the larger the car, the larger the rental cost, so try to get the smallest car you and your travel companions feel comfortable in. 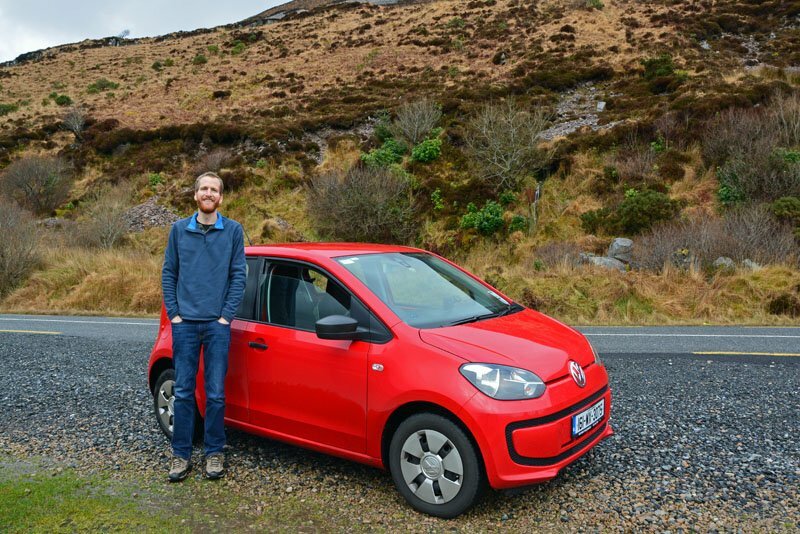 You’ll appreciate having a smaller car when you’re driving on the narrow roads of some of Ireland’s most scenic drives. As mentioned before, a manual transmission is going to be more budget friendly than an automatic transmission car. If someone in your party knows how to drive a stick shift, it would be best to put them down as the designated driver (so long as they are between the ages of 25 and 70). Also, the more drivers you list on the rental agreement, the more expensive it will be, so stick with one primary driver if you can. Try to avoid additional fees when applicable. Take advantage of your credit card’s car rental insurance (we’ll discuss that next), and bring your own GPS and car seats (if applicable). Collision Damage Waiver (CDW) insurance is required on ALL rental cars in Ireland. Collision Damage Waiver reduces your financial responsibility for damage done to your vehicle in the event of a collision. If this coverage is not offered by your credit card (see next paragraph), you will be required to purchase the rental company’s insurance, as insurance is required for all rentals. This can often double the base line price of a rental car in Ireland. Many of the Irish car rental companies (with websites ending in .ie) will include this cost in their quote. Other corporate companies and third party sites like Priceline and Kayak will not. The CDW cost will also vary from company to company, so do your homework to find the best total rental cost, again, if this coverage is not covered by your credit card company. Some credit cards will cover rental car insurance, though Ireland is sometimes excluded. If you plan to use your credit card’s insurance coverage when renting a car in Ireland, double check to make sure the Emerald Isle is included. Also verify the type of coverage provided. Wheels and tires are typically not included in credit card coverage, for example. Prior to booking your car, call your credit car company to verify coverage and ask that they send you a note indicating specific coverage provided. This is typically sent via e-mail and you’ll want to have this on you when you pick up your rental car. Make sure to have this dated within two weeks of your journey or the rental company may not accept the letter. We can tell you from experience, World Mastercard and Chase Sapphire Preferred are two cards we’ve used for car insurance coverage in Ireland. Read the fine print carefully… the car cannot be valued over a certain amount, so this type of insurance typically doesn’t cover luxury vehicles. Check in advance to ensure that the Ireland car rental company you are renting with accepts credit card/third party international insurance policies. In order to use your credit card for insurance coverage you’ll need to pay for the entire rental with that card. You’ll also need to decline the rental company’s insurance. As a result of declining the company’s insurance, you will typically have to pay an administrative fee (usually around €25-€30). At least it’s cheaper than paying for insurance! Again, make note of coverage NOT included by your credit card company and see if there is any coverage you’d like to add on. When using your credit card’s insurance coverage, a massive hold will be placed on your credit card. The hold will be removed when you return the car without damage. Even if your credit card company provides rental car coverage, some people would prefer to just pay for full coverage (Super Collision Damage Waiver – SCDW) through the rental company. SCDW allows the renter to drive away with peace of mind that if something happens, pretty much everything will be covered. This coverage comes at a premium price, so you have to decide what you’re comfortable paying and what experience you want to have in the event that you are involved in an accident. 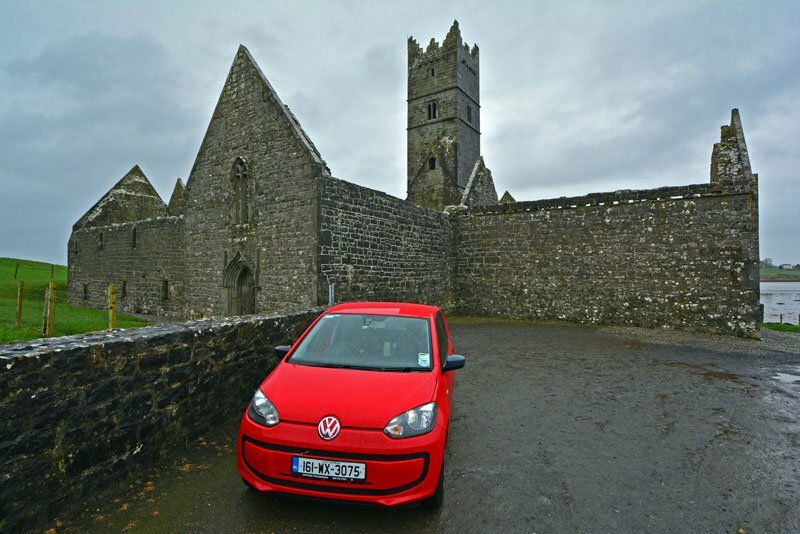 Be prepared for additional fees when renting a car in Ireland. In addition to the administrative fee mentioned above, there are other fees to be aware of when renting a car in Ireland. Get ready to pay the typical high taxes that come standard when renting a car. If you pay with a credit card, expect to also pay a credit card transaction fee (usually around €5). The car rental company will give you the option to bring the car back with the tank full or pay for a tank gas in advance. We recommend you select to fill up the tank prior to dropping the car off. The rental company will charge way over the going rate for fuel. And you certainly don’t get credit for any unused gas remaining in the car. If you rent from Dublin Airport, you may also notice an additional fee on your credit card if you drive through the M50 toll just outside of the city. This is perfectly normal, as the car is registered to the rental company. They pay the toll on your behalf and then charge your card. Finally, airport pick-up locations in Ireland often have a nominal vehicle location surcharge. We honestly feel this fee is worth the convenience of not having to pick up a car at an off-airport location. In Ireland, car seats/booster seats are required by law for children up to 12 years old (or 1.5 meters/5 feet). Hertz Ireland, for example, has forward facing safety seats for children over 9 months available for an additional charge. 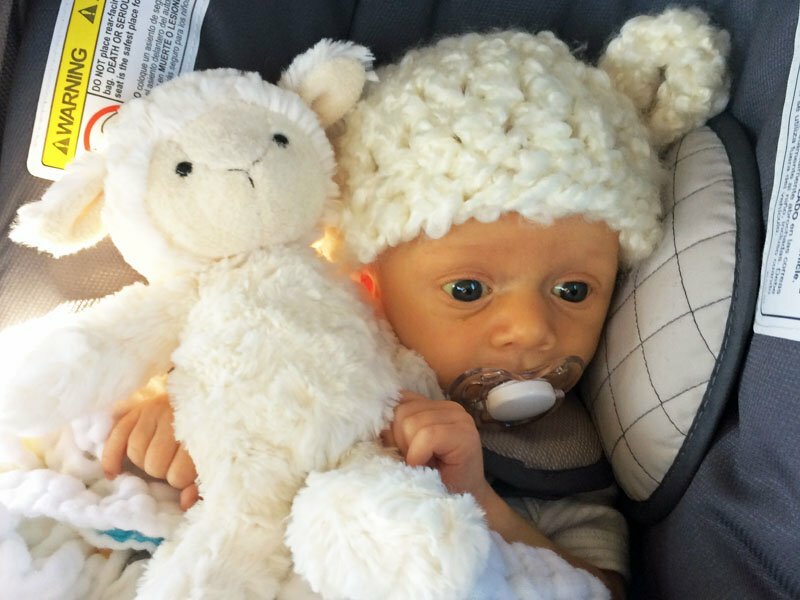 You will need to provide your own rear facing car seat for children under 9 months, according to their web site. 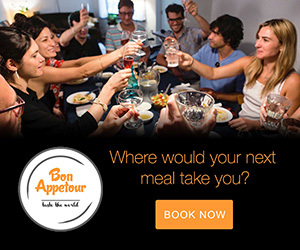 Check the availability of car seats with the rental company you decide to book with. As it is with car seat requirements, be sure to comply with all of Ireland’s car safety laws. Even if they are different from your home country. Before you leave the rental lot, do a walk around and check the vehicle you have rented for previous damage. Make sure any prior damage is noted on the vehicle pre-inspection form. You don’t want to be charged for damage you did not cause. Check with your rental company to see if they allow crossing borders. Most companies will allow you to drive from (the Republic of) Ireland into Northern Ireland. A hefty drop off fee could apply if you return your vehicle to a location different from where you rented it. This also includes picking up in Dublin and dropping off in Shannon, for example. Speed limits are in miles per hour in Northern Ireland and in kilometers per hour in (the Republic of) Ireland. The border crossing is very subtle. Be sure to look closely at speed limit signs and obey all traffic laws. It is not recommended for you to rent a car in Ireland if you are only planning to explore Dublin. Parking your car in the city can be expensive. Public transportation to the city centre (from the airport) is readily available! Dublin is a walkable city, provided you do not have limited mobility issues. If you plan to explore Dublin for a few days at the beginning or end of your trip, avoid having a car during your time in the city. You really don’t need a car in Dublin’s city center. Keep your pick-up and drop off times close to the same hour so you are not charged additional days. And always return your rental at the agreed upon time! 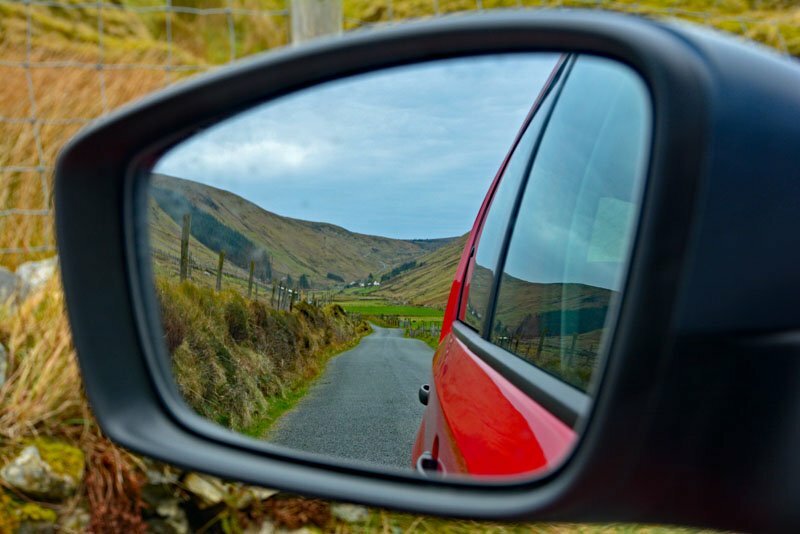 We hope you’ll decide that renting a car in Ireland is the way to go. 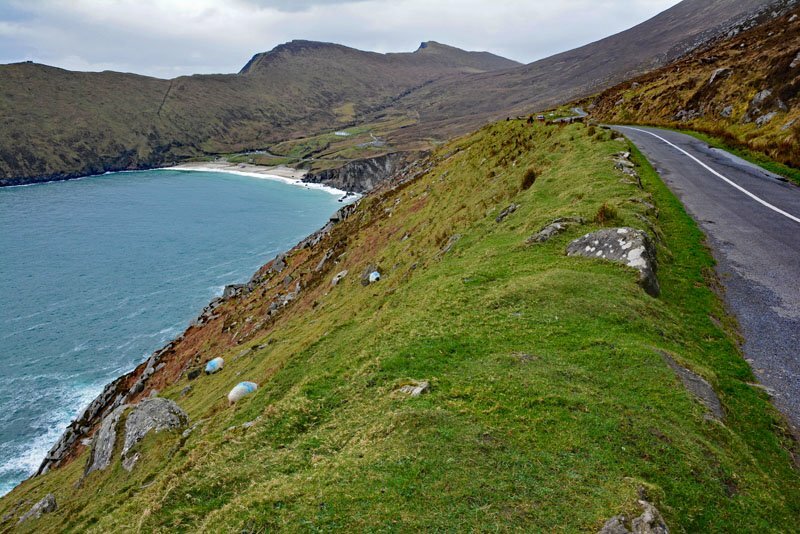 There are countless scenic drives in Ireland that will take you along some of the Emerald Isle’s most breathtaking views! 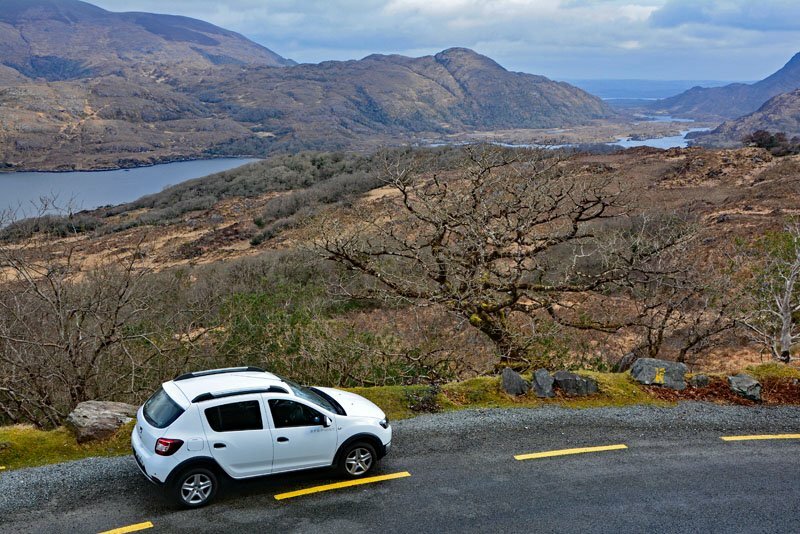 Renting a car in Ireland allows you the opportunity to visit the country’s most gorgeous landscapes on your own time. 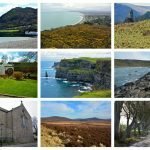 Go where you want, when you want, for however long you want and enjoy the boundless beauty of Ireland!